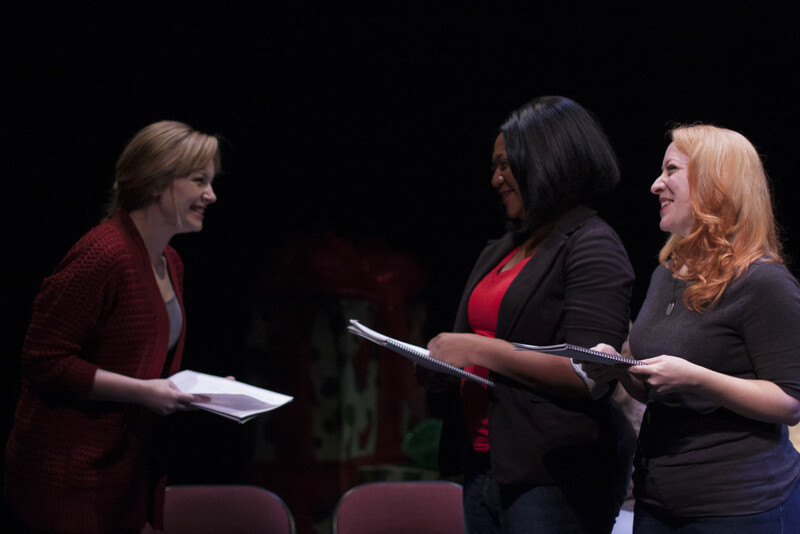 In a year of many high marks for Plan-B Theatre, the month of December, normally a quiet period for this performing arts company, has become especially memorable. 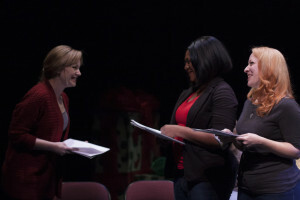 Julie Jensen’s smashing ‘Christmas with Misfits’ played a sold-out run drawing much well-deserved acclaim. 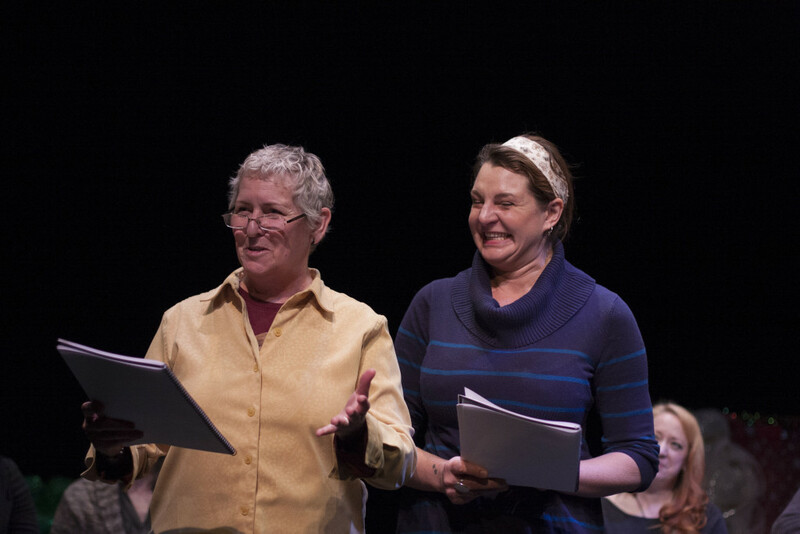 Likewise, tickets also sold out for Elaine Jarvik’s ‘Marry Christmas,’ an ensemble piece celebrating the first anniversary of marriage equality coming to Utah, certainly the biggest holiday surprise for the real-life accounts of local couples who are featured in the script. Photo of ‘Marry Christmas,’ courtesy of Rick Pollock. As a staged reading with scripts in hand, ‘Marry Christmas’ came alive with more than expected emotional energy from the 14 actors in a rendering directed with appropriate personable effect by Jason Bowcutt. Elsewhere I discussed the challenges of making the stories of marriage equality as good drama and while I believe Jarvik’s play will endure more as a worthy artifact of the history surrounding Utah’s experience with this issue than as an enduring piece for the theatrical repertoire, the actors at every turn elevated the 50-minute work to the rightful tone of the occasion. Plan-B’s actors are as good as the script they perform. Jarvik met the challenge in more than adequate ways. In the short audience discussion following the performance, it was quite evident that she had captured realistically the genuine and sincere tones of the stories she shared from at least a dozen couples. Jarvik also included the recollections from Sim Gill, Salt Lake County’s district attorney and Sherry Swensen, county clerk. as well as others who were involved in the actual, fast-paced drama that unfurled in the 17 days following the Dec. 20 ruling by U.S. District Court Judge Robert Shelby for the plaintiffs in Kitchen v. Herbert. More difficult was the role of ‘Utah’, which, of course, tried and failed repeatedly to ruin the celebration. Where there is emotional depth in every other character portrayed, ‘Utah’ is cast as uncompromisingly cold-hearted, a veritable legal Scrooge where the probabilities for charitable redemption are not yet secure. 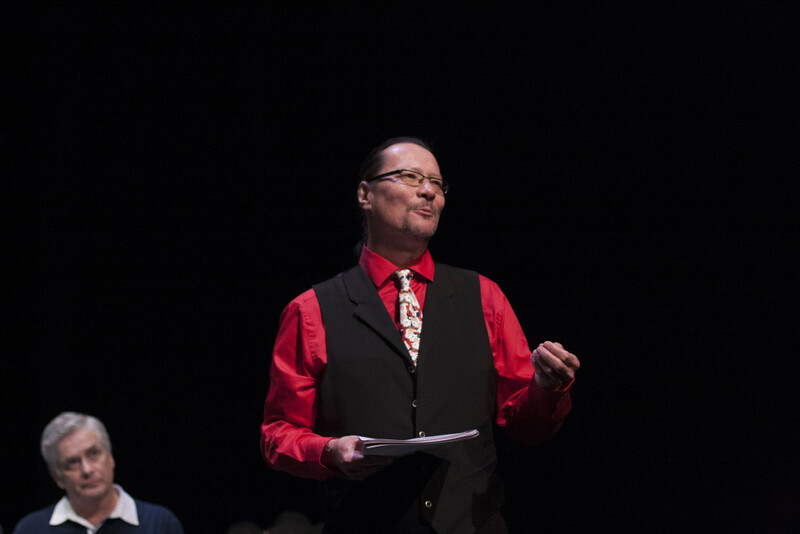 Here, Jarvik synthesized the general arguments and sentiments of a state that perhaps hoped it would be the last battleground in the nation for marriage equality, fighting nobly to sustain its own interpretation of traditional marriage. Who wrote this play? (looks around, peers into the audience, speaks to someone who might be out there) Don’t you think you’re being a little . . . provocative here? You started out with reasonable arguments and now you’re poking fun at us with these over-the-top statements. Which, yes, were in op-ed pieces in The Salt Lake Tribune. But that’s not representative of who we are. The question is worth answering but the time perhaps is not right or ripe for probing this artistically as it should be. There will be a time when marriage equality will not be the challenge it has been for the couples featured in ‘Marry Christmas’ and then plays can begin to fill in the hues and tones of the drama where all of the characters are fleshed out and where generational attitudes can be explored for how different they are when it comes to supporting loved ones who were involved in the battle for marriage equality. This is sad and regrettable. 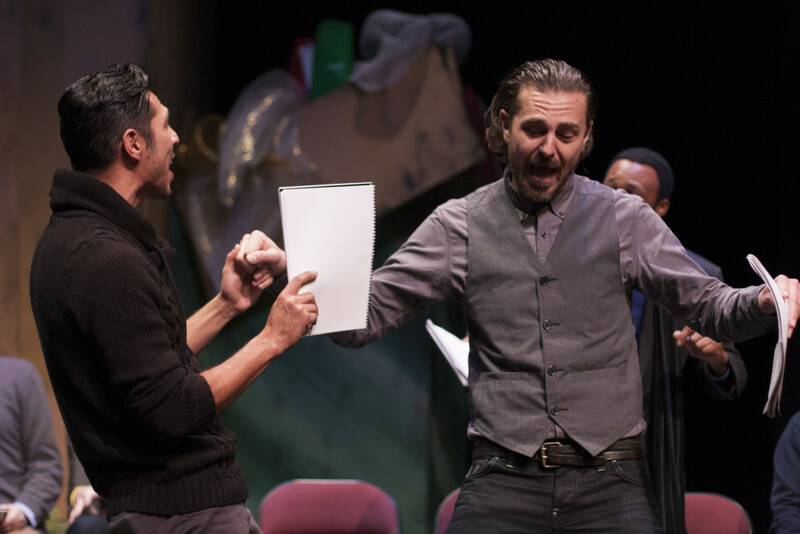 ‘Marry Christmas’ succeeded as a Plan-B production in an extraordinarily intimate way that is not as immediately accessible as its other original plays that are destined to join the canon of artistic works which define our steadily growing Utah Enlightenment. 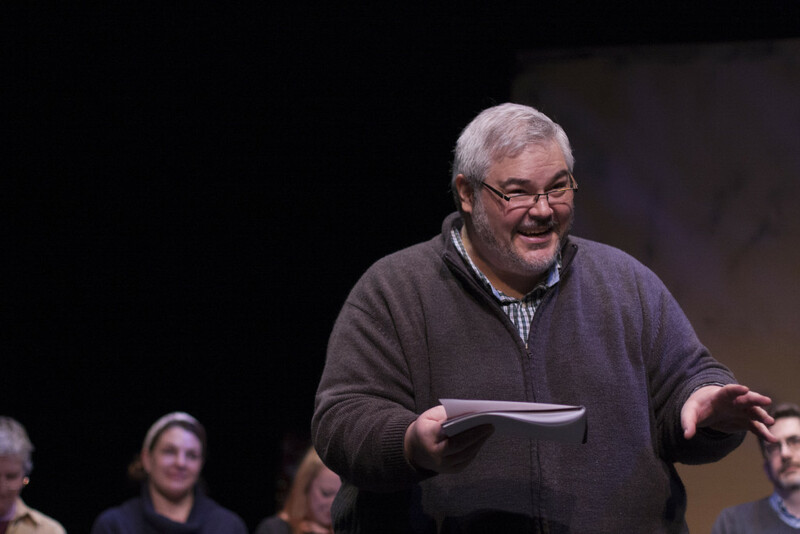 The play certainly resonated with an audience who unquestionably had supported the legal efforts sponsored by the nonprofit Restore Our Humanity group, which received all ticket proceeds to put a small yet significant dent in its substantial legal bills. However, the actors filled the Studio Theatre space at the Rose Wagner Center for Performing Arts with precisely the energy of an emotional celebration that makes one forget about the battle itself. 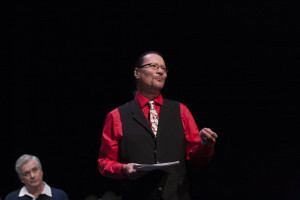 The cast featured Tyson Baker, Kim Blackett, Carleton Bluford, Anita Booher, Joe Debevc, April Fossen, Mark Fossen, Nell Gywnn, Tito Livas, Vicki Pugmire, Scott Smith, Yolanda Stange, Jason Tatom and Sarah Danielle Young. And then they were done. And we sat there a little, not sure where to go, not wanting, really, for the feeling to pass. And the reception was in another building, and we went, and there was dancing. But hardly any chairs, and the ones there were uncomfortable, and so we left. I don’t really dance anymore. But it didn’t matter. We’d seen something lovely, we’d been part of something splendid and human and real and moving. Two wonderful human beings joining their lives together forever. And I thought; if ever there was a time to just be happy for people. Just a time to be joyful. Completely, wholly, uncomplicatedly, unambiguously happy. What a fitting note for Plan-B to close a truly outstanding 2014.